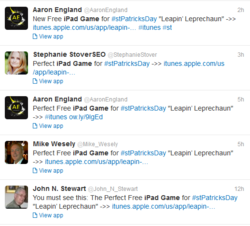 That story behind Leapin' Leprechaun lite has inspired many to Tweet and post links of the brand new iPad app on many influence social media users accounts. 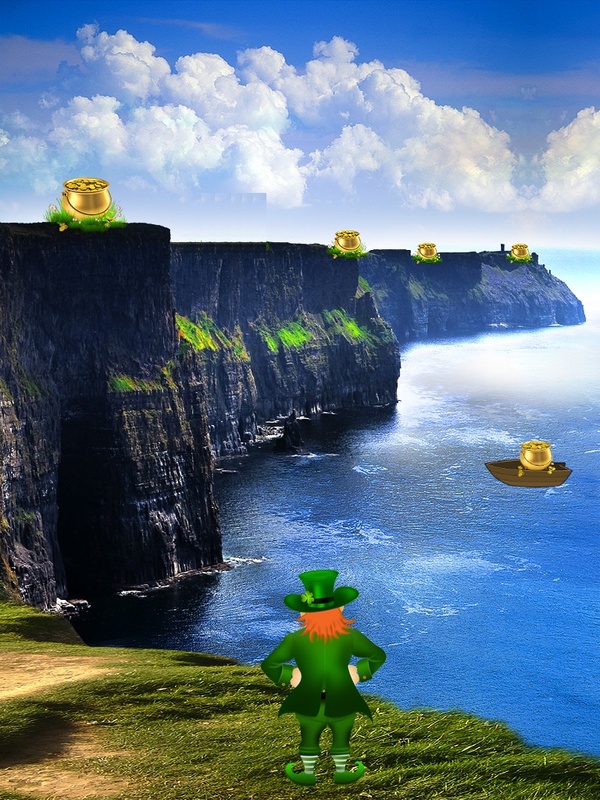 As the brand new iPad game, Leapin' Lepechaun lite, moves up the App store ranks, many Twitter and Facebook users are calling it the Perfect iPad Game to download on St. Patrick's Day. Since this brand new app hit the market yesterday, it's been floating to the top of the app store charts around the world. With a huge push from the developers on social media sites, many people are now calling this the perfect game to download on St. Patrick's Day. All this has been inspired by the real story behind the game. The origin of the game was a trip two brothers took to Ireland to tour Blarney castle and kiss the Blarney Stone to honor their grandmother. They ended up at the William Mc Carthy's (the developer) house in Ireland. They came up with the idea for the game while playing with their Irish buddy's kids and later put up the money to create the game but he and his kids put it together. The fascinating part of the game is that his 12 year old son is the voice of the Leprechaun. This Irish lad has a big goal to one day be on the Ellen Show. That story has inspired many to Tweet and post links to the app on many influence social media users accounts. At the moment, hundreds of Tweets and Facebook posts have helped the game to be currently ranked #39 in the 'game and adventure' category in the app store. It's been continuously moving up the rankings all day. The brothers and the developer did not create this game for the Holiday; however, they believed it just made sense to release early so they made the lite for free. 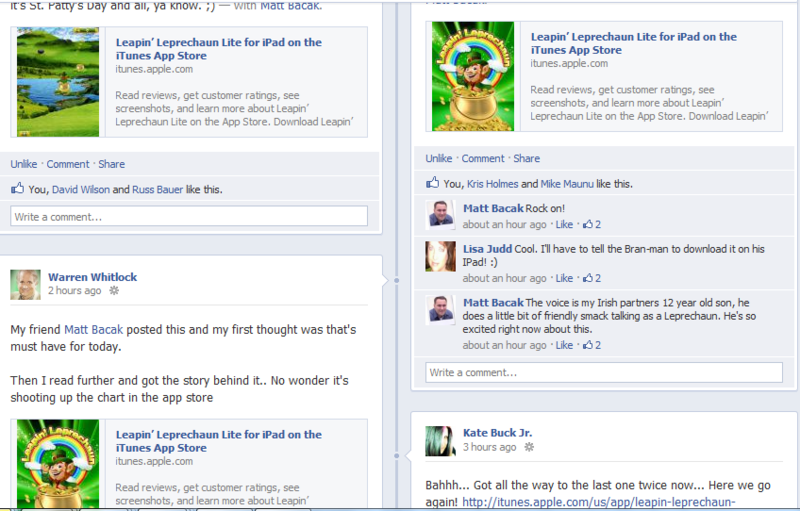 That's why it's called "Leapin Leprechaun Lite" not their original idea of having it as a paid app on iTunes. When they made the decision to make the lite version they stated: "We don’t want to be just another passing one-day craze. We are planning to be around for a long while. To let gamers know we’re serious about this, we will be continuously listening to their feedback and reviews." However, at this moment reviews have been extremely positive. 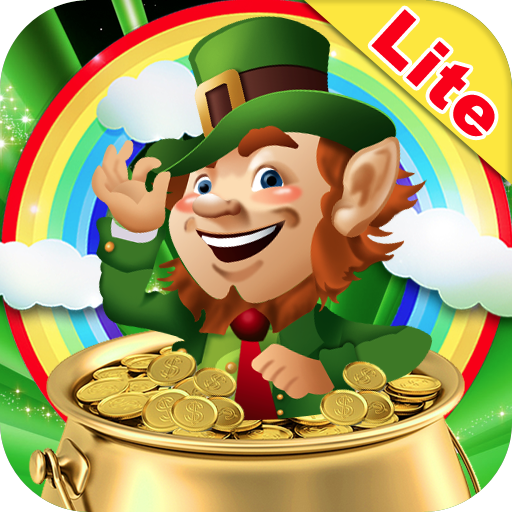 For a glimpse of the game graphics and play levels that have catapulted Leapin’ Leprechaun Lite to a noteworthy iTunes apps showing, visit the iTunes storefront http://itunes.apple.com/us/app/id510916059 and to download a copy of the game for free.